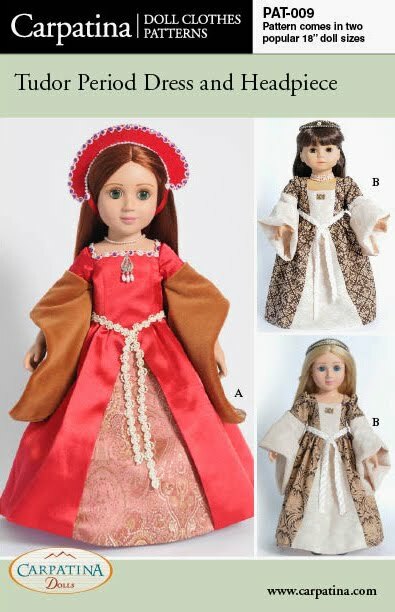 We always hope to offer an unique pattern for your favorite 18" doll. This is one of my favorites - Tudor period dress and French hood. As usual, this Paper Pattern includes all components in two popular 18" Dolls Sizes ~ for American Girl Dolls & for the slim Carpatina Dolls. Looking forward to seeing some of the outfit you create using this new pattern - Details HERE.